This assumes you have reviewed IBM GSKit (Global Security Kit) - Getting Started (command line) or IBM iKeyman - Getting Started (GUI) and that you have created a key database, and that there is at least one certificate in the key database. 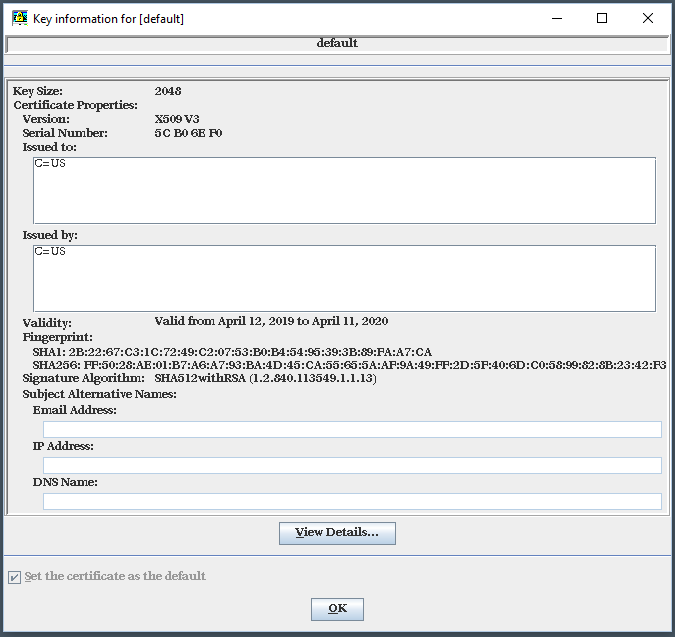 In this example, the details of the certificate named "default" will be displayed. Highlight the certificate you want to view. Select View/Edit, and the certificate details will be displayed.